Help support our goals in long distance racing by getting yourself some Tukgear! 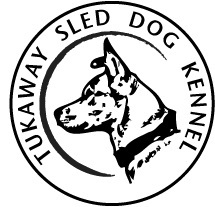 All proceeds go directly to the dogs, whether its dog food (kibble, meat, etc...) supplements, equipment (harnesses, coats, booties, etc...) or anything related to the well being of the dogs of Tukaway! Click the link at the bottom and you will be directed to our store page!